Plan Your Skagit Valley Tulip Festival Trip! We know what it’s like when you’re planning a trip – there is so much to figure out! We’ve made it easy for you to visit the Skagit Valley Tulip Festival this year; we’ve done a lot of the research for you so you’ll have most of the information you need right at your fingertips. Whether you’re looking for lodging accommodations, deciding where to eat, putting together an afternoon of shopping or making plans to visit our 3 nationally-recognized museums while taking in the tulips, you’ll find what you need below for a perfect Skagit Valley Tulip Festival trip. 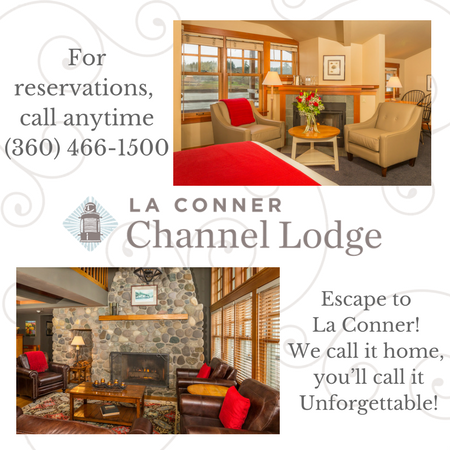 You will also soon discover why La Conner is one of the best getaway destinations in Washington state before, during and after the Skagit Valley Tulip Festival. To start, let’s get you acquainted with La Conner and how to get around. Getting to the Skagit Valley Tulip Festival is easy as we are located between Seattle and Vancouver BC. 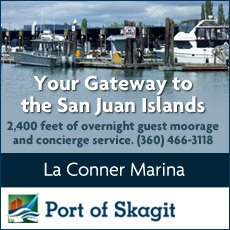 If you are flying in, check out flights into Seattle (SeaTac), Paine Field (new in Everett! ), Bellingham, and Vancouver BC, Canada. Granted, we’re not very big, but having a La Conner map along with your Skagit Valley Tulip Festival bloom map to get your bearings is always helpful. Now that you know a bit more about us and the tulips, let’s get you started on the fun side of La Conner and the Skagit Valley Tulip Festival! We know what it’s like when you’re looking for lodging accommodations and you’re just not sure where to stay during the tulip festival– especially if you’re planning a getaway to a new destination community like La Conner. 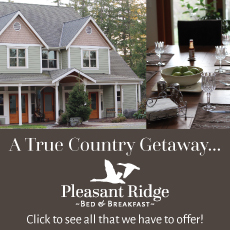 We’re extremely proud of our lodging establishments – they are absolute experts at making your stay extra special. They know that when you find the time to take a trip, you want to be well taken care of during your visit, and they’ll make sure that happens. 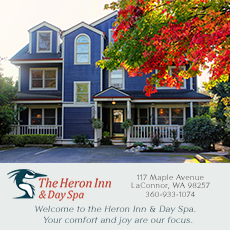 From quaint Bed & Breakfast Inns and Lodging, to our historically significant hotel, our condos and our rental homes, we have a wide variety of lodging options to choose from in the heart of the Skagit Valley Tulip Festival. 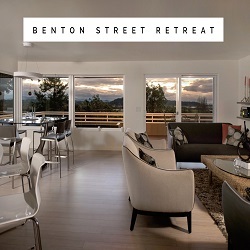 There’s a reason why La Conner is one of Washington State’s most-loved getaways … and much of it has to do with our retail corridor on both Morris and First Streets. 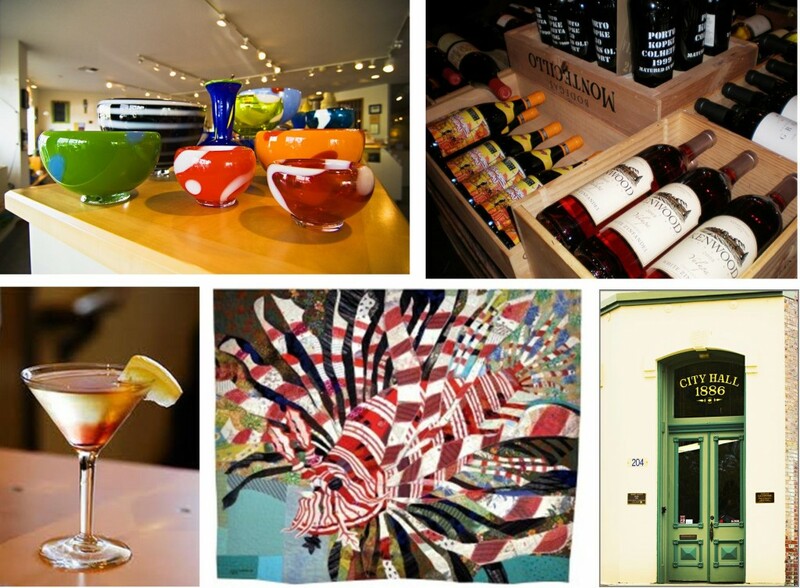 You’ll find an amazing array of specialty shops … most of which have a long list of regular customers who come back again and again to see what’s new, to indulge themselves a little, or to buy gifts for their families and friends. From fine art to fine arts and crafts, one-of-a-kind clothing, woodworking, home décor, collectibles personal care products, stunning antiques, gorgeous jewelry and Italian pottery, our shopkeepers work hard to bring you items that you’ll not find in any mall, or any big-box store…..and of course…plenty of official Skagit Valley Tulip Festival gifts and freshly cut tulips. You probably know that La Conner is a wonderful community to visit – and you may know that our shopping opportunities and museums are top-notch. But … did you know that in La Conner you can get a fabulous meal that rivals what you’d find in the city? Our restaurants serve the freshest of local ingredients – from seafood to produce to organic meats, cheeses and breads – turning what could be a good meal into a great meal! 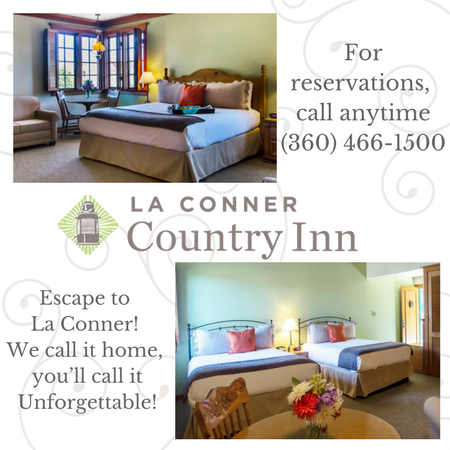 Whether you’re looking for a hearty breakfast, a delicious pastry and latte, lunch for the family or a romantic dinner for two during the Skagit Valley Tulip Festival, you’ll find wonderful options in La Conner. 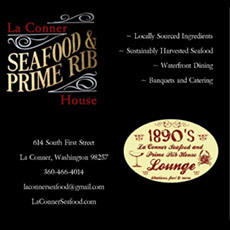 It goes without saying that La Conner is a historically significant town in Washington State history – our land has been inhabited by several Native American tribes for thousands of years and the town of La Conner was established in the mid-1800’s. Many of our buildings and residential homes are original; having been lovingly restored over the years, today they are often photographed by Skagit Valley Tulip Festival visitors who love their charm and appeal. 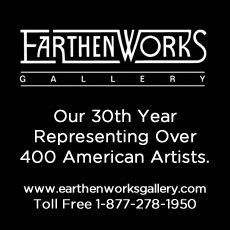 We’re also well-respected as an artistically significant town as well; in the mid-1930’s Morris Graves and Guy Anderson first established themselves as artists-in-residence, to be joined later by artists such as Richard Gilkey, and Barbara and Clayton James. We’re home to three significant museums and their ongoing exhibits – The Museum of Northwest Art (MoNA), The La Conner Quilt and Textile Museum, and the Skagit County Historical Museum. The La Conner Institute of Performing arts brings in amazing musicians every year, and the Swinomish people are experiencing a revitalization of the cultural traditions, exemplified by the Cedar Hat Pavilions across the channel. Be sure to plan on visiting the museums during the Skagit Valley Tulip Festival. Throughout our website you’ll find all kinds of information – our 101 Things To Do list, along with our detailed and up-to-date calendar of events will give you lots of ideas for interesting and fun things to do while you’re here for the Skagit Valley Tulip Festival … you can also stop by our Visitor Information Center at 413 Morris Street and talk with our knowledgeable and friendly staff and volunteers. We will have plenty of Tulip Festival maps for you along with the latest on the tulip bloom updates. Got a question before you visit the tulip festival? Give us a call at 360-466-4778 or 888-642-9284. In town and have a questions? Stop by the La Conner Visitor Info Center! I am planning to visit the valley on April 28. Will I be able to see any tulip blooming at that time or is it too late ? Keep an eye on the bloom map! The exact dates of the blooms are up to mother nature. Seattle Tacoma International Airport is about 80 miles from La Conner (depending on traffic about 2 hour drive). Bellingham International Airport is about 40 miles from La Conner (1 hour drive. Smaller airport and may have limited direct flights. Many Thanks!! When do you think is the best time to come see the tulips? I have a feeling that the daffodils and tulip will be early this year. Typically the tulips are at peak bloom in the middle of April. Keep following our website and follow us on social media for updates. Paine field is also open to the public now and may serve as a good option. Limited direct flights available thru SFO, PDX, and a couple others out west. We are planning to visit this Saturday and wondering how should we pay the admission fee? Should we just pay at the entrance of tulip town and Roozengaarde? We will be driving. Each of the display gardens, you park and walk inside. There will be a entry gate where you pay. There are some filed tulips but many have them have already been topped. Can I get around with my walker? Do I need boots? We are from bellevue. We have no car. So how we can reach there? My kid is only 2 year old. Please suggest a convineant way to reach the tulip garden. Transportation to the fields is a bit of a challenge. You can take the bus or train to Mount Vernon and then hire a cab to the fields or take advantage of a tour. Hi, we are planning a trip to the tulip festival this Saturday. I wondering about parking? Do we park by the fields in bloom or is there designated parking and we walk to the fields? Is there parking at roozegaarden? Both Roozengaarde and Tulip Town have parking lots and it costs $7.00 pp to enter either display garden. If you park at Roozen, I believe you then have authority to park at the field lots (there are a few). The Tulips are in full bloom and it will be a beautiful weekend! What is the blooming timeline projected for this year? Will it be another early bloom? We are planning to visit over Easter weekend and am hoping there are still lots of tulips. We hope to see Tulips blooming the first week of April but the weather has been cold and the daffodils haven’t even bloomed yet. We definitely won’t see an early bloom! Are the pictures showing on the Bloom Map from 2017 or from 2016? Due to our cold winter the blooms have not appeared yet. The Bloom Map icons will show color when that field is blooming. We hope to see color by this weekend but it just depends on mother nature! I would like to know what your weather is like the last two weeks of march and the month of april. Planning a trip there for the tulip festival. Is it wise to plan for the tulips at the beginning of april cuz we also want to see the whales and would do that after the tulips. also is there a list of condos or vacation rentals that you can send me? Late March / early April is a great time to visit and see the daffodils and tulips! It is hard to determine exactly what the weather will be like. It could be dry or drizzly. The Daffodil and Tulip Blooms are done for this season, typically the bloom’s are peak in March and April. Skagit Valley is still an amazing place to visit – La Conner is a quaint waterfront town with unique boutiques, dining, wine tasting, art galleries, museums and more! When does the Tulip Festival usually start? I am just wondering that I’m planing to come in May 2016 is the festival still be going? Will wait for your kind response. I am Visiting on April 29th. Will the Roozengaarde’s display garden have Tulips or will it be gone by then? how big is the display garden? Roozengaarde is open all year round’ but by the 29th of this month I’m not sure how the display garden will look. It has been very warm and the field tulips have been topped by now. Are the tulip fields still going to be up tomorrow? Would be a shame to cut them down so early. The tulips bloomed 2 weeks early this year so the fields have been topped and Tulip Town has closed for the Season. You can still see blooms at the Roozengaarde display garden. We are planning to visit over April-23-24. Would the flowers still be in bloom at that time? The fields tulips have been topped and Tulip Town has closed for the season, Roozengaarde may still have blooms by then. 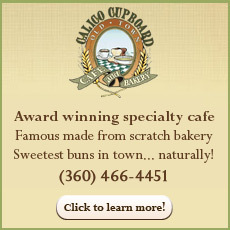 Just call our visitor center 360.466.4778 before you head up! I am wanting to stop at the tulip fields this weekend. Are dogs allowed in the fields? Sorry, Dogs are not allowed at the display gardens. Tulip Town will be open through tomorrow for tulip season. I just read that the festival is ending early this year on 17th April. I had actually planned a trip from Texas to be there on 18th April. Would the tulips from the fields be gone on 18th April and should I plan for some other activity in the area or do I have a chance to view tulip fields on 18th ? The display garden at Roozengaarde will still be open and is your best chance to see tulips, there are other great activities in La Conner such as: shopping, dining, our waterfront boardwalk, art galleries, wine tasting and more! Will the tulips at Roozengaarde be there through the 22nd? I’m flying to WA 4/20, my sole purpose was to see the festival. I want to visit the tulip festival, but the only day I can really go during the week is a Saturday because of school and church on Sundays, and the only Saturday I can go at this point is April 30th, which I know is the last day… Will it be too late by then for my friends and I to see the tulips in bloom? How long do they usually last? The field tulips will be gone by April 30th but I encourage you to visit one of the display gardens: Roozengaarde or Tulip Town. The best thing would be to call us the week of your planned visit and we can give you the most up to date information. Thanks! Last year we visited on April 26th and the tulips were topped-off by then since it was an early bloom last year. We enjoyed the display garden and took some pictures. This year we are planning to come there on April 15th. Do you think it will be too late this year too? How early should we arrive? What time do things open? Depends, Are you talking about the Tulip Festival or La Conner itself? If we go to see the tulips on next Wednesday (3/30/2016), is it too early? I would love to bring my mother to see the tulips, but she uses a walker and can’t walk very far. What would our best choices be? Are there any places that rent wheelchairs for the elderly? Tulip Town has a wonderful paved indoor display of tulips that would be a great option for your mother. We are planning to go on April 8. Is it a good time to see the fields bloom with colours? Or are we late? We are a bit concerned since this year its an early bloom. Stop by the La Conner Visitor Center and we will guide you! We also heard that the fields get quite muddy. Is it so? Even in first week of April! In that case what precautions or measures should we take? The display gardens at Roozengaarde and Tulip Town have well kept walking paths but depending on the weather it can be a bit muddy. Mid-week trips will help you avoid traffic, stop by the La Conner Visitor Center (511 Morris) and we will show you exactly where to go on the map. Keep track of the Bloom Map on http://www.lovelaconner.com & Enjoy!!! we are planning to be there next month april 30…i hope the tulips are still in bloom. Tulips are expected to bloom early this year (late march) It is hard to predict if they will still be in the fields on April 30th. Keep track of the status on the “bloom map” https://lovelaconner.com/laconner-blog/la-conner-daffodil-festival-2016/. We are from vancouver, BC. I was wondering if we came March Easter long weekend (March 26/27) if there will be any tulips to be seen or is it too early? I’m planning for a trip this year and was wondering, the dates say Apr 1 – 30 and I’d be planning to go the 29th, if the tulips bloom early will they still be in nice condition to see towards the end of the month? 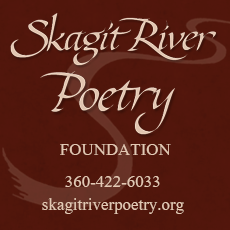 Will The skagit festival still open? The Tulip Festival officially runs the entire month of April w. events and activities. Based on our weather, I will assume the peak tulip bloom will be the first 2 weeks of April but mother nature has the ultimate decision. There are also 2 display gardens; Tulip Town and Roozengaarde and they should have nice displays throughout the entire festival. Hi, is it too late to visit the fields? I will be able to make it out there only on the 24th of April. Wondering if the blooms will still hold out, or if it’ll be too late? Thanks! The tulips bloomed about 3 weeks early this year, so the fields have already been topped this year. There is one display garden left at Roozengaarde (www.tulips.com). Please stop by La Conner on your visit, our boardwalk is completed and the town has so much to offer! The tulip fields bloomed so early and they have been topped for this year. There is a display garden to view at RoozenGaarde. Unfortunately dogs weren’t allowed in the fields and aren’t allowed at the display garden. Wondering how the blooms are holding out? Sounds like I may have waited a bit too late to come up this year? How are things up there? I am interested in visiting tomorrow during the work day to beat traffic. How is traffic coming from Sea Tac? Sorry to be late in response. Were you able to get here and see the tulips? I would like to take my grandmother to see the tulip fields but she is not able to walk very far. What would be the best place to see the tulips? Is there a driving route? 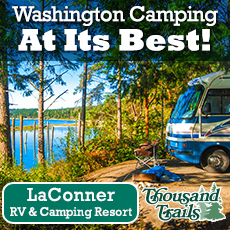 There is a great tulip route that you can drive by car – go to https://lovelaconner.com/laconner-blog/skagit-valley-tulip-festival-2015-blooms-will-be-early/ and click on the bloom map, you can also stop by the la Conner Visitor Center and we will show you the different routes. The best bet for your grandmother may be to go to the display gardens (Tulip Town & RoozenGaarde) Tulip Town has an indoor display that is easily walkable too. Are we allowed to walk through the fields rather than just drive by them? You can walk through the display gardens at Tulip Town and Roozengaarde but not in the fields themselves. With the weather warming up so early this year will the flowers bloom earlier than usual? Yes the blooms will be early – please check out our feature on the Tulip Festival that includes a link to the bloom map which is updated daily. The tulips always depend on the weather, so predicting the best time can sometimes be difficult. Usually the second or third week of April is a great time to visit, the Skagit Valley Tulip Festival runs the entire month of April. Hi I’m interested in attending the Tulip Festival in 2015, yet I don’t see anything on-line with details about this event. I understand it occurs during the entire month of April, but do you have any information (website??) regarding the events planned for 2015? With 5 months to go it would be nice to begin preparations. The Official Skagit Valley Tulip Festival runs the entire month of April – but mother nature dictates when the tulips will actually bloom… In La Conner the Annual Tulip Frolic & Parade will take place Saturday April 11th. We will start posting information and links to the http://www.lovelaconner.com website in February. Hi, I was looking forward to visiting the festival this year to see the tulips, I know it ends the end of April but I’m hearing some of the flowers might be cut soon, what days would you recommend also factoring the weather? The sooner the better, it seems the peak of bloom was last week. There are still plenty of fields to see as well as display gardens. We are planning to visit over May 2-4th. Would the flowers still be in bloom at that time? There is a very good chance that most of the fields will be cut by then, there still may be blooms at the display gardens at Tulip Town. I’m planning to come down and do a day trip this coming Wednesday to view the tulip fields. I’m coming down from Vancouver BC. Can you please tell me the easiest bus route to the location? thnaks. We are planning to visit the tulip fields this Saturday. I understand that there can be a lot of traffic getting to and from the fields. is it possible to ride our bikes and are there bike paths along the fields? thank you. The tulip fields are very bike friendly, there aren’t any official bike paths but many bicyclists ride through the area. You could park in La Conner and bike! we have Skagit County bike maps at our visitor center – 511 Morris St.
Do you think we are allowed to bring your tulip bulbs back Canada? I plan to buy some during my visit there. Thanks! The only information that I can find is that cut flowers may be inspected. Bulbs not allowed. We are planning on coming up this weekend and wanted to know if this is dog friendly? Dogs are not allowed in the tulip fields, when I visited Tulip Town last week I saw many signs that stated that. I’m thinking of flying my father out to see the tulips but he wouldn’t be able to come until April 26th. Do you think some tulips would still be in bloom? And would it still be worth a plane ticket? Because the weather warmed up last week, the tulips are at peak bloom this week. I assume some fields will be cut by the 26th. I-5 South to Exit 230 (Highway 20), head West and turn left on La Conner – Whitney Road. We’re driving over on a Saturday from the Seattle area. Are there any tips for avoiding long lines and traffic congestion? Enjoy your trip to the Skagit Valley! We have loved the tulip fields for years. We now take care of my elderly mother-in-law. Are any display gardens “wheelchair friendly/accessible”? Roozengaarde’s display garden is gravel & grass – it is wheelchair accessible but better for a chair with wide wheels. Tulip Town has an outdoor and indoor display garden and looks to be accessible too. Enjoy your visit! Are we able to photograph near the flowers? Or go in the fields at all? It looks stunning! Diana, Yes the tulips are beautiful! You can take photos in the fields at Roozengaarde and Tulip Town. Keep in mind you will have to pay for parking $5.00. I have 2 young children (ages 3 and 1.) Is the tulip festival kid friendly? Are there activities or events for children? Aloha to you! The tulips bloom in April. In March you will be able to see the daffodil fields. Use the link to the “bloom map” in the post above to see what is blooming as it gets closer to the date. Thank you! We will be in Washington in March, and my daughter wants to see the Tulip farms, We will drive up there on March 22. Will there be any Tulips to see yet. I hope so. let me know. Kim – Tulip Festival events start on the first of April. However, check the Bloom Map (link above) to see exactly when and what is blooming in regards to tulips. The daffodils are also beautiful and bloom in March. When does the Tulip Festival usually start? Thanks!! That’s a great question! The Tulip Festival is officially the entire month of April. Check back often for information about the best viewing times. Thanks for asking. Thank you for this great guide! I can’t wait for spring, tulips and La Conner! You are welcome. Let us know if we missed anything or if you have any questions!